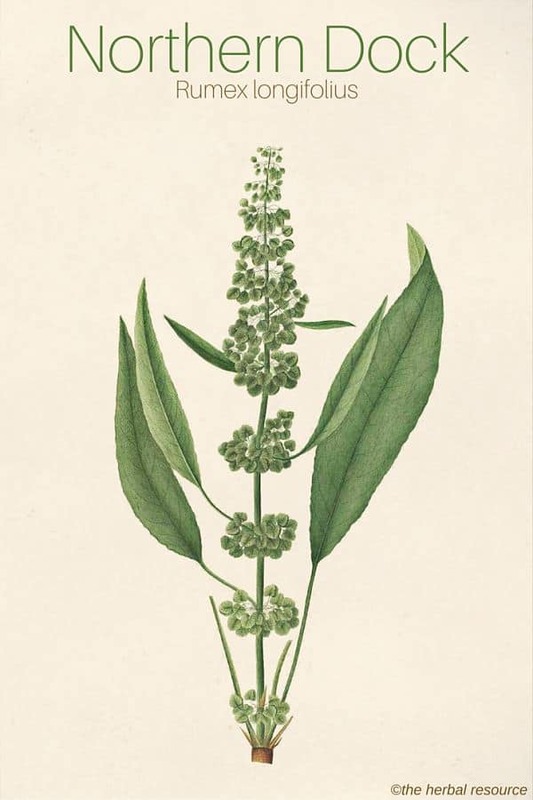 Botanical Name of Northern Dock: Rumex longifolius. Other Common Names: Dooryard dock, Gemüse-Ampfer (German), rumex à longues feuilles (French), gårdsskräppa (Swedish), by-skræppe (Danish), njoli (Icelandic), høymol (Norwegian) hevonhierakka (Finnish). Habitat: Northern dock is native to Europe (including Britain) and Western and central Asia. It has been introduced to North America. The plant thrives best in moist cultivated soil and is usually found in arable land, by roadsides, waste dumps, etc. It is often regarded as a troublesome weed. Description: Northern dock is a perennial plant that belongs to the knotweed family (Polygonaceae). It can grow from up to 60 cm to 1 meter tall (24 to 47 inches). The stem is erect with alternate ovate–lanceolate and rounded base leaves. The flowers, that appear from July to September, are small, greenish and bisexual. The fruit is a shiny brown nut with a triangular cross section. Plant Parts Used: It is mostly the root that has been used as herbal medicine but sometimes the leaves were also used. The minced or crushed root can be used to make tinctures, decoction or herbal teas. The root can be stored in a dried form for several years. The leaves (harvested while they are young) and the seeds can be used in small amounts as food. Active Ingredients and Substances: The main active substances found in northern dock are anthraquinone glycosides, tannins, and oxalic acid. 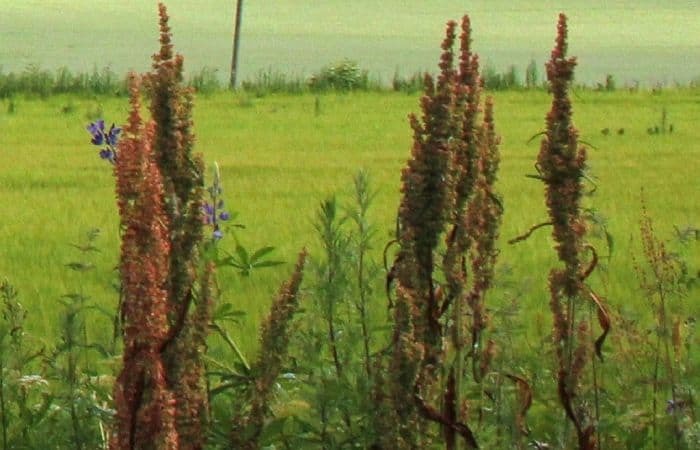 The root contains high amounts of carbohydrates and the leaves have a high content of vitamin C.
Northern dock is closely related to yellow dock (Rumex crispus), and has similar medicinal properties. In the past, the herb has been used traditionally both as a food source and medicinally but in today’s herbal medicine it does not play a big role. In folk medicine, it was especially the root that was used, and then primarily for wound treatment. One of the folk uses was to make an ointment by adding the smashed root in sweet or sour cream. This ointment was then used as a remedy for minor wounds, cuts, and scrapes, but especially for burns. Henrik Harpestreng, a Danish botanical and medical author from the 1300’s, mentions the herbs in his writings where he states that the root of northern dock added to wine can be used as a treatment for diarrhea and decoction made from the root can be used to prevent constipation. The root was also been used traditionally as a treatment for jaundice and delayed of menstruation. The leaves were used as wraps and applied externally as a relief for gout and aching joints. Furthermore, the leaves were applied on wounds and boils to relieve pain and promote healing. The herb does contain high amounts of tannins which might explain why the herb was considered effective in this regard. The Northern dock has been used for human consumption for centuries especially in times of famine. In the past, it was common to peel away the outer parts of the stem and eat the inner part. The stems could be eaten raw, added to soups and stews or possibly ground and used as flour. In spring the vitamin C-rich leaves were collected and used to make an “herbal stew”. The seeds are a great source of energy and can be eaten fresh while they are still unripe. When food was scarce, the ripe seeds were collected, washed to get rid of some of their sour taste and then ground to a flour. The flour was then used to make porridge or in bread making where it was mixed with real flour to make it last longer. The roots which are rich in carbohydrates were eaten after they were soaked in water to lessen their sour taste. Information on the therapeutic dosage (doses) for medicinal purposes is as of yet not available. A trained herbalist should be contacted prior to use. Traditionally, the root has been used to make a herbal tea by adding two teaspoons of the dried root in two cups of water which is then steeped for ten minutes. Northern dock contains rather high levels of oxalic acid which is what gives the herb its sour taste. The young leaves are safe to eat in moderation. 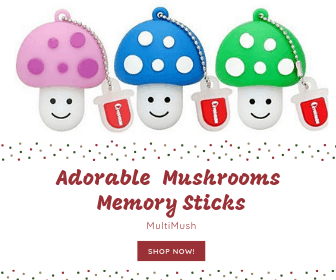 They should not be eaten in large amounts, as the oxalic acid can bind nutrients in the food (especially calcium), possibly resulting in a mineral deficiency. The oxalic acid content is reduced if the plant is boiled. People suffering from rheumatism, arthritis, gout and kidney stones should completely avoid consuming the plant in any form as it may exacerbate these conditions.